Strange Turn are based in the UK and headed up by Sir Bastion Longfellow. With the exception of their contribution to a Mega Dodo Christmas compilation it looks like this may be their first release. 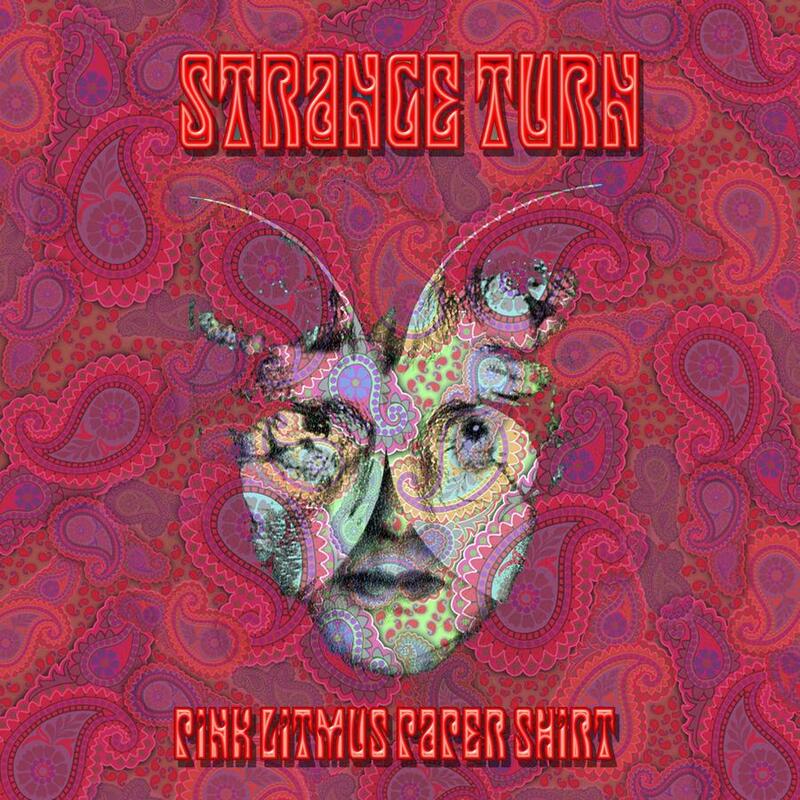 Pink Litmus Paper Shirt is a catchy psychedelic song that brings to mind a Neil Innes brand of Beatles, in that damn good but let’s have fun with it way. The lyrics, vocals and general vibe have that feel, though Bevis Frond comes to mind as well. It’s got a great melody, guitar, organ and cool freaky I Am The Walrus styled effects. For the flip side we have a cover of Gene Clarke’s Elevator Operator, which is largely faithful to the original, except Strange Turn amp up the guitar and organ on the psychedelo-meter. I hope these guys are working on a full length. Vinyl junkies should note that the single is pressed on pink vinyl, comes with an A3 full color poster, postcard and litmus strip, and is limited to 100 copies.